The principal of Pittsburg Unified School District's adult education program is clinging to life after being shot by his wife during a domestic dispute early Saturday, according to authorities. The shooting victim was identified Sunday by police and the school district as 45-year-old Paul Shatswell. He is listed in critical condition and on life support. Shatswell's wife, Maria Vides, has been booked into County Jail on suspicion of attempted murder, police said. 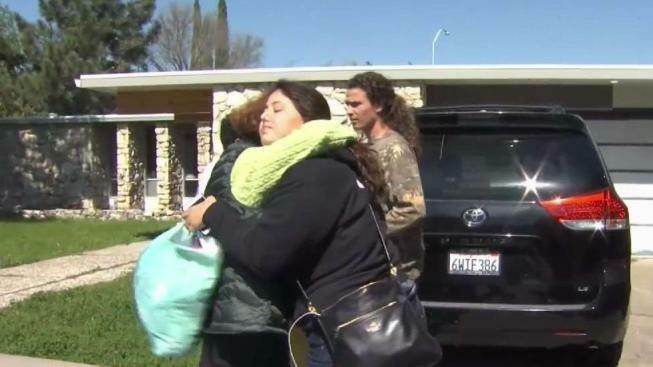 She allegedly shot him with a handgun around 1:20 a.m. Saturday in their home on Barrie Drive in Pittsburg. Michael Bazinet, a childhood friend, said he was supposed to have dinner with the couple Friday night, but plans fell through. The principal of Pittsburg Unified School District's adult education program is clinging to life after being shot by his wife during a domestic dispute early Saturday, according to authorities. Roz Plater reports. "I came back at 7 in the morning and saw the crime scene tape," Bazinet said. "I sped to the hospital, and it was more horrible than I imagined." Shatswell is the father of eight children ranging in age from 5 to 29, according to the school district. He previously served as a reserve deputy sheriff for Contra Costa County, along with roles in finance, counseling and educational administration. 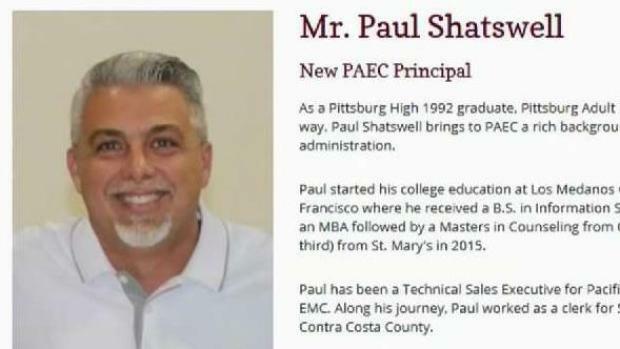 "Along with being our adult education principal, Paul was born and raised in Pittsburg, and his children attended, and attend, our schools," school district Superintendent Janet Schulze said Sunday in a social media post. "His impact is wide across our Pittsburg community. Along with the shock and grief, there will be many memories of his love of music, friends, family, Pittsburg, and his passion for education." Schulze said additional counselors will be on hand at the Pittsburg Adult Education Center on Monday, as well as at the schools his youngest children attend. Staff meetings will be held at the Adult Education Center at 8 a.m. and 5 p.m. Monday.